●	Need an extra hand in loading/unloading the truck. With their expert movers who are professionally trained to handle all these and various other moves, they are more than capable to carry out these activities. So, what are you waiting for? 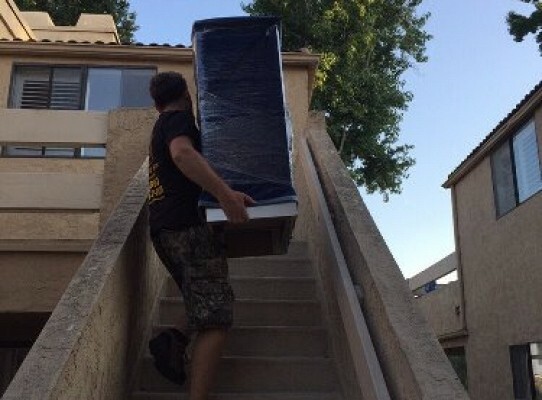 Call them now at 619-892-7836 to book your slot and enjoy their hassle-free services to make a stress-free move. Packing Bees Movers was established in the year 2014 and they are not all about just the physical labor but also your mental peace. They understand the mental situation of a family moving and want to make the situation as stress-free and less boring for them as possible. Their team is patient and extremely organized making them apt for this business. They are expert in moving-related activities like packing trucks, pods, containers, and storages; assembly of furniture and household items, storage, loading/unloading, packing on short notice etc. They offer their services at a very reasonable price and work extremely hard to ensure your happiness and peace of mind. This business is solely owned and managed by Dmytro Korkh aka Dmitriy. He was born and raised in Ukraine and moved to the US in 2012 embracing the opportunities and the love this land has. He started this business with hopes and dreams and managed it with equal passion and enthusiasm. He has experience of 6 years in moving business both as an employee and as an owner. He has a hands-on approach to life and has learned the ropes of the business while on the job. He takes care of his employees and gives their hard work the credit for the success of packing bees. He’s a family man and loves his wife. They’re about to become parents.